The following article describes how to import and export OpenOffice Spreadsheet (ODS) Files to/from Magento 2. Unfortunately, you cannot do that with either the default Magento tools or most third-party extensions, but we know the cure for pain. Besides, the following article discusses why Apache OpenOffice is an excellent replacement for similar solutions. Unfortunately, Magento 2 doesn’t support OpenOffice Spreadsheet files by default. You cannot either create the desired output or transfer the data to your e-commerce store even if everything is ok with Magento 2 import attribute values. Luckily, there is the Improved Import & Export Magento 2 extension. You can install the module enabling the missing functionality. 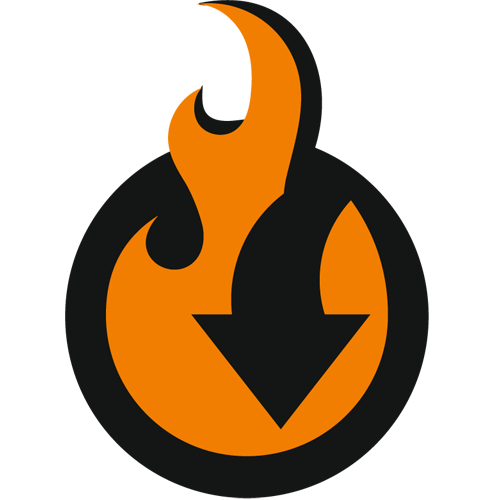 The plugin not only extends the default support for file formats to a broad list of standards but also adds multiple usability improvements and even allows automating data updates as well as eliminating file transfers from them if necessary. But let’s tell a few more words about the Magento 2 ODS import and export functionality. 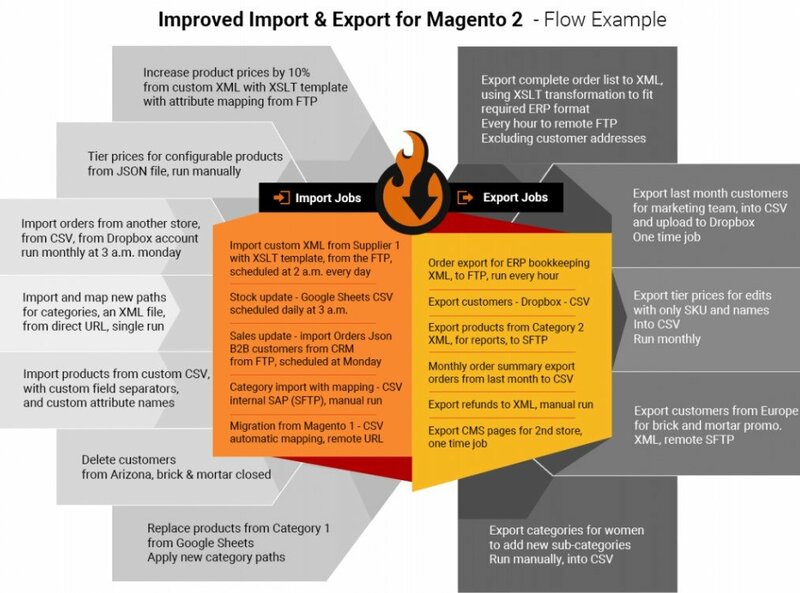 Magento 2 ODS Product Import & Export. With the improved Import and Export Magento 2 extension, you can easily transfer product data between your Magento 2 website and any third-party system with the help of OpenOffice Spreadsheet files. And it is possible to import customers to Magento 2 via ODS automatically. The same is about export. Magento 2 ODS Customers Import & Export. The Magento 2 customers import via OpenOffice Spreadsheet files is another opportunity introduced with the Improved Import & Export Magento 2 extension. The extension lets you transfer all information about your registered clients from old stores or third-party systems to Magento 2 seamlessly via ODS. Magento 2 ODS Orders Import & Export. Another entity that our extension supports is Orders. The Improved Import & Export module eliminates all barriers between your store and a third party system when you move order data via OpenOffice Spreadsheet files. Note that our module offers flexible settings as well as allows moving credit memos, invoices, shipping documents, and tracking data along with orders. Magento 2 ODS Categories Import & Export. Besides, you can freely import/export categories in the ODS format to/from Magento 2 with the help of the Improved Import & Export module. Magento 2 ODS CMS Pages Import & Export. CMS Pages-related data in OpenOffice Spreadsheet files no longer need to be converted to CVS. With the Improved Import & Export Magento 2 module, you will freely move it to/from your store via ODS. Magento 2 ODS Coupons Import & Export. The same is about coupons and coupon codes. Feel free to import/export them as OpenOffice Spreadsheet files with the Improved Import & Export Magento 2 extension. Magento 2 ODS Attributes Import & Export. Even attributes are no longer a problem. Now, they are fully transferable as OpenOffice Spreadsheet files! Soon, our module will cover all Magento 2 entities letting you import/export them to/from your e-commerce website as fast as possible in a fully automated manner. Also, note that all usability features are suitable for all entities mentioned above in the case of both import and export processes. What exact features are we talking about? The Improved Import & Export Magento 2 extension offers several significant usability improvements that can be leveraged with OpenOffice Spreadsheet data transfers. First of all, it is the ability to create schedules. Secondly, the module provides a user-friendly mapping interface. Let’s take a look at each feature separately. The Improved Import & Export Magento 2 extension supports cron allowing you to create any custom schedule of updates. You only need to use a standard cron syntax. If you have a zero understanding of it, there is a list of predefined intervals. Just choose one suitable for your business needs. Note that it is possible to customize the provided ranges if necessary, but you need to understand what to do with the syntax mentioned above. Alternatively, you can create an import or export profile that has no schedule. What for is it necessary, you will ask, when we try to automate all updates? Since some third-party systems provide data without any predefined frequency, you cannot create a schedule that is efficient for the synchronization with them. Manual updates are quite helpful to solve that problem. At the same time, you can always launch scheduled Magento 2 ODS import or export processes manually if there is an urgent need to do so. For example, a partner provided you with new product prices, but the update is planned for tomorrow. You don’t need to wait the scheduled date to come because the Improved Import & Export extension lets you launch import processes asynchronously updating the Magento 2 database whenever you need – not when the update is planned. To simplify the OpenOffice Spreadsheet import and export processes, the Magento 2 Improved Import & Export extension provides the ability to match attributes right in the admin section of the p. Thus, there is no need to edit data files manually. It’s not a secret that different systems have different attribute standards. To import data to Magento 2, you need to map the default attribute to the corresponding Magento 2 values. Otherwise, the update is impossible. In case of export processes, you should do the opposite actions: make Magento 2 attribute values suitable for the requirements of an external system. In case of the default Magento tools and most third-party import/export extensions, you should do that manually by editing each data file before every update. It’s an extremely time-consuming task that requires maximum concentration. But the Improved Import & Export module eliminates it due to the mapping interface mentioned above. Note that the two features above are entirely suitable for all Magento 2 ODS import and export processes. Furthermore, you can apply them to all supported entities. As we’ve just mentioned, the Improved Import & Export extension extends the default connectivity options dramatically. The module provides the ability to transfer data not only in the default CSV format but adds a plethora of other standards. In addition to OpenOffice Spreadsheet files, our tool lets you import/export information using XML and JSON. Besides, it utilizes XLS and XLSX files for various internal purposes. When it comes to file transfers, a file source is required, and the Magento 2 ODS import & export processes are not an exception; therefore, we should also describe a broad variety of provided options. First of all, the Improved Import & Export Magento 2 extension supports FTP/SFTP allowing you to import data from or export it to a local or remote server. A Dropbox account can be used for the same purpose. Alternatively, you can run import processes right via a direct URL. For more complex data transfers, the Improved Import & export Magento 2 module supports SOAP API, REST API, and GraphQL API integrations. Note that all usability improvements available with the module can be applied to the alternative ways of import/export. No fees. You can use OpenOffice for free. Anyone can use and distribute it at no cost. Furthermore, many features available as in-app purchases in other office suites are also free. OpenOffice contains no hidden charges, and they are not planned for the future as it will stay open source forever. Open source. It is another crucial benefit since the software can be distributed, copied, and modified as much as you need. Platform-agnostic tool. You can use OpenOffice on multiple hardware architectures and operating systems – no limitations are available. Multiple languages. The software suite is available in more than 40 languages with full support for spelling, hyphenation, and thesaurus dictionaries in more than 70 languages and dialects. CTL and RTL languages are supported as well. User-friendly interface. All OpenOffice components have a similar look and feel so that you can quickly master all of them. Integrability. The components of OpenOffice are well integrated with one another. Furthermore, they can be a basis of Magento integration with other platforms as described above. All the components share common tools, which are utilized across the suite consistently. The same instruments are available in Writer and Calc; besides, you can find their enhanced versions in Impress and Draw. As a result, it is possible to open a Draw file using Writer. Granularity. OpenOffice allows you to set changes at a component level or even document level. Thus, if you change an option, it doesn’t affect all components. Extended support for file formats. OpenOffice not only allows you to open files of multiple formats but it also provides broad export capabilities so that you can create output in numerous third-party standards. No vendor lock-in. Due to the use of OpenDocument file format, you can unzip and read the output of the tool in any text editor. With the help of the Improved Import & Export extension, you can even use them with Magento 2. You will be heard. OpenOffice is a community-driven software. If you have any enhancements, software fixes, or other ideas worth sharing, join the community and affect the course of the product.